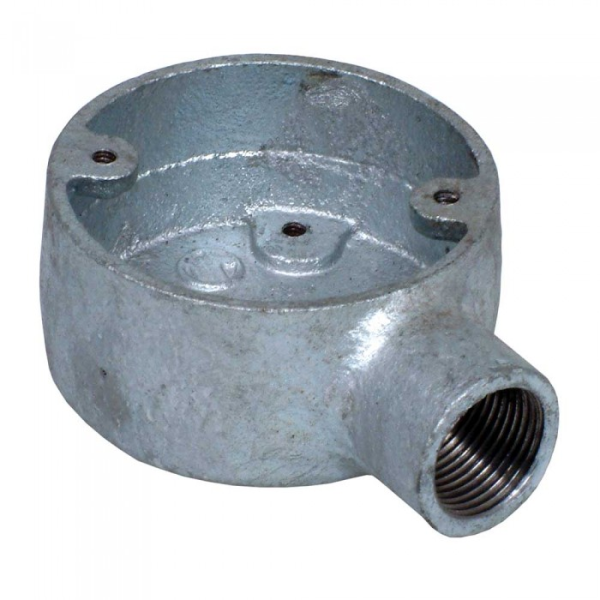 Galvanised Conduit Terminal Box, also commonly referred to as a 1 Way Box. Includes tapped hole for earthing screw. Sizes available to suit 20mm, 25mm and 32mm Conduit.